Order within 114 hrs 44 mins 13 secs for delivery on Wednesday. 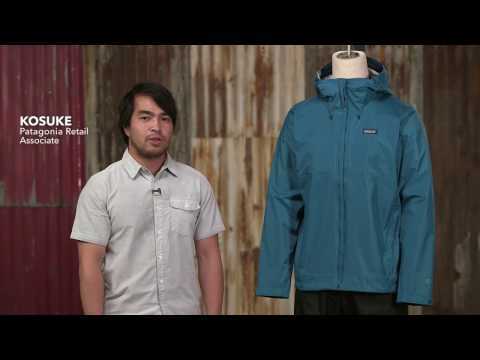 New from Patagonia is the Torrent Shell Jacket in black. Guaranteed to keep you dry in the city or on outdoor pursuits with a H2No performance 2.5 layer standard shell featuring durable water repellent finish with adjustable hood and laminated visor, two zippered handwarmer pockets and internal chest interior pocket with carabiner attached. Finished off with the Patagonia branding to the chest.